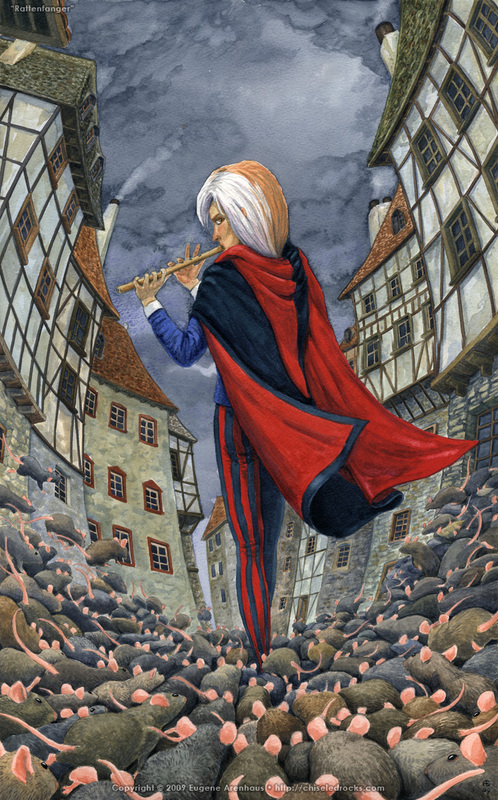 The story of the Ratcatcher of Hamelin, known in the English-speaking world as the Pied Piper, is well-known. It is also quite sinister. The idea for this piece started with the radical curvilinear perspective to give a sort of rat’s eye view. It’s you he is calling after him. “Rattenfanger” simply means “ratcatcher” in German.